On 16 March, EKHA joined over +50 participants focused on Autosomal dominant polycystic kidney disease (ADPKD), at the 1ST European ADPKD Patient Summit. Co-hosted by PKD International and the European ADPKD Forum (EAF), the occasion brought together patients, carers, providers, foundations, researchers and industry. 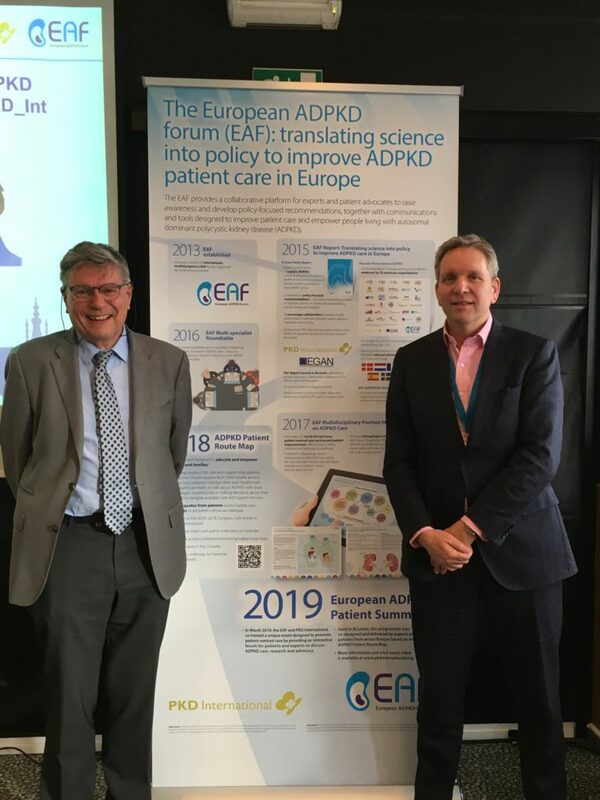 Founded on the EAF/PKD International ADPKD Patient Route Map and the EAF Multidisciplinary Position Statement on ADPKD Care, the event was co-designed and co-delivered by patients and experts from across Europe, providing an interactive forum for patients and experts to discuss and collaborate on ADPKD care, research and advocacy. EKHA member, Tom Oostrom, was invited to present on artificial kidney development, and Chairman Ray Vanholder discussed advocacy on prevention in rare diseases like ADPKD and the potential avenues for personalised medicines in CKD. Additionally, the programme featured intimate Breakout Sessions, which covered topics spanning the care pathway for ADPKD, including self-care and risk reduction, predicting the progress of ADPKD and genetics, liver cysts and pain, dialysis and transplantation; as well as Plenary Sessions, highlighting current research and industry perspectives.